Those who stand on the left shall be smited. 1. 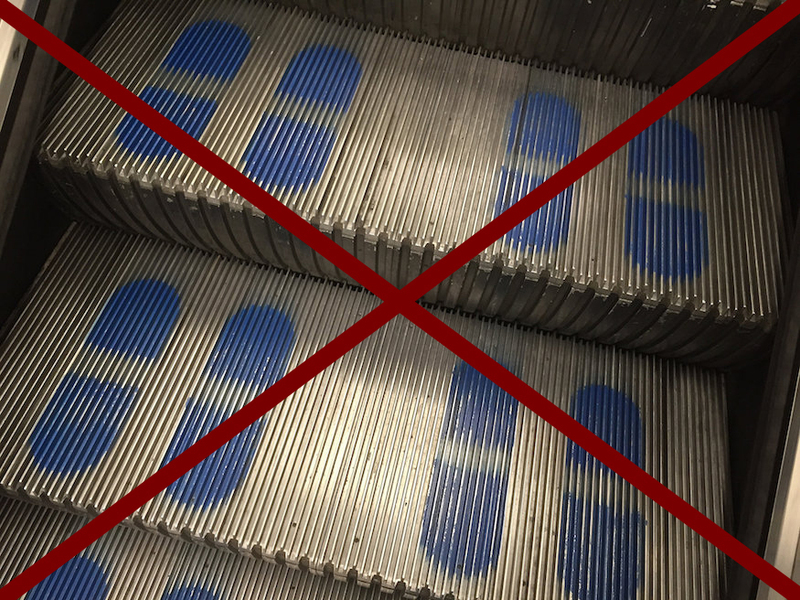 Remember to stand on the right while using an escalator. This rule should be kept most holy among all commandments. 2. Thou shalt bring no conversation into tube carriages. 3. Do take the name of former mayors in vain. Especially Boris. Especially now. 4. Thou shalt not worship the Green Cross Code nor the Highway Code, for they are false idols. 5. 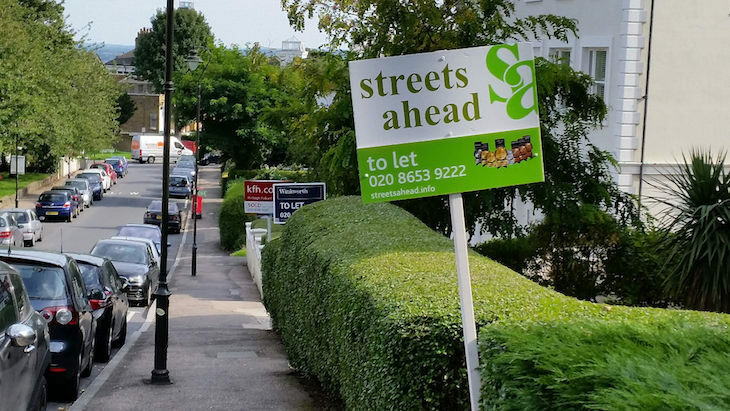 Honour thy landlord and thy lettings agent, lest they screw you over at the end of your fixed-term contract. 6. Thou shalt tut loudly when trapped behind a dawdler, and yet spend much of your own walk in thrall to your smartphone. 7. Thou shalt leap through the closing tube doors, and not wait 2 minutes for the next train. Image by Chutney Bannister in the Londonist Flickr pool. 8. 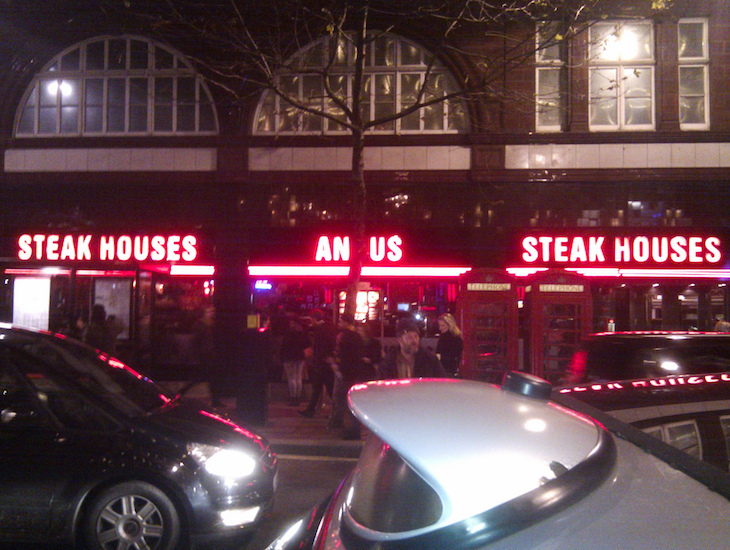 Thou shalt hold dismissive views about the food at Angus Steakhouse restaurants despite never having dined there, nor knowing anybody who has ever dined there. 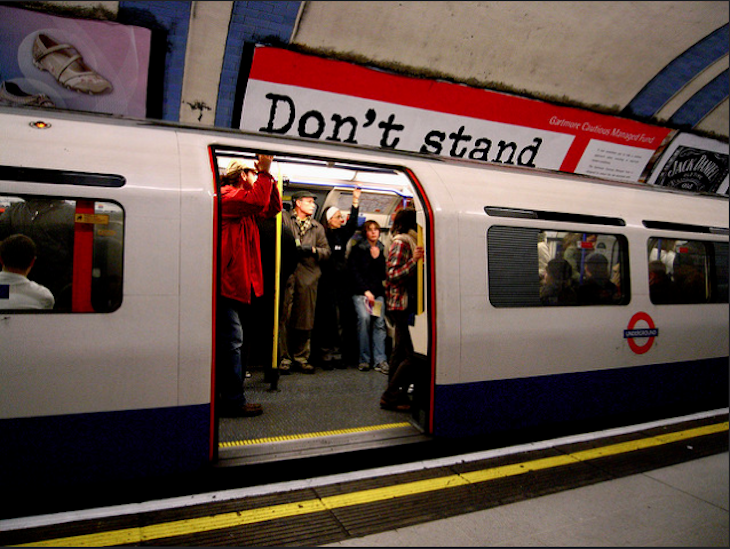 Image by Dave McGowan in the Londonist Flickr pool. 9. Thou shalt break for lunch at precisely 1pm, and at no other time, and spend your lunch hour in a long queue. 10. Thou shall not covet they neighbour's companionship, nor talk to thy neighbour in any way, except for those awkward encounters when you both get home at the same time and mumble something about the bin collection or the weather.